Heroin is an opiate processed from morphine extracted from the seed pods of certain varieties of poppy plants. It is an illegal and highly addictive drug sometimes cut with other powder, including sugar, starch, powdered milk or quinine, to increase volume, which helps the person selling it make more money. Between 2000 and 2014 the death rate from drug overdoses in the United States increased 137 percent and there was a 200 percent increase in the rate of overdose deaths involving opioid pain relievers and heroin, according to the Centers for Disease Control and Prevention. In the United States today, you can buy two types of heroin: pure heroin and "black tar" heroin. Pure heroin comes from South America and Southeast Asia and is a white powder with a bitter taste. Most of the heroin sold in the eastern United States is this form of heroin. Black tar heroin comes from Mexico and is sold mainly in the states west of the Mississippi River. It is typically sticky like roofing tar or hard like coal and gets its dark color from the processing, which leaves behind impurities. 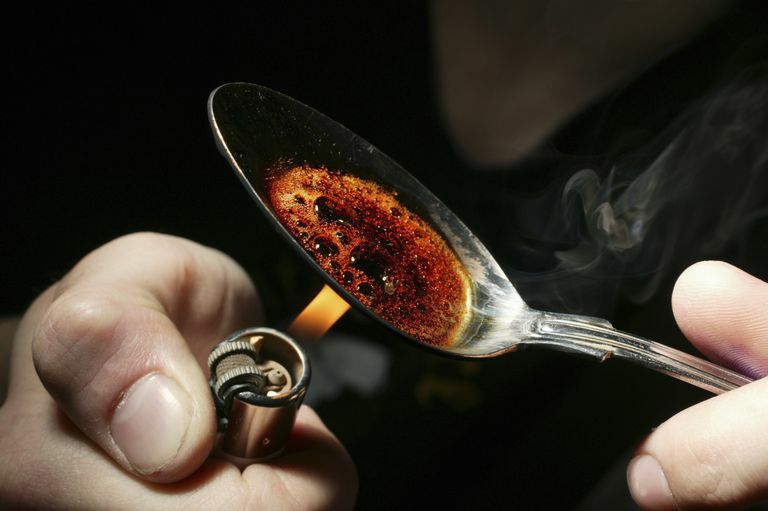 A user injects, snorts or smokes heroin to get their fix. All methods deliver this drug to the brain quickly. For black tar heroin, the user usually dissolves and dilutes, then injects it. Heroin in its powder form, on the other hand, can be more desirable to new users not ready to begin injection drug use because you can snort it. You can smoke either kind. Once heroin enters your brain, the body converts it back to morphine and it binds to opioid receptors, located in many areas of your brain and body. The changes heroin causes in your brain causes its high risk for addiction and the chronic relapsing that may follow after treatment. A person who overdoses is likely to be under the influence of more than one substance. In fact, the Drug Abuse Warning network warns that in overdose cases the patient has typically has an average of 2.7 drugs in their system. A combination of alcohol and heroin is especially dangerous because both substances suppress your ability to breathe. If you can't breathe properly, the lack of oxygen can cause hypoxia, which can result in short- and long-term effects, including coma and permanent brain damage. Respiratory failure is the overwhelming cause of overdose deaths. Drinking alcohol is a suggested risk factor for heroin addiction. When an addict goes into treatment, either methadone maintenance treatment (MMT) or heroin-assisted treatment (HAT) their alcohol consumption goes down too, according to a study published in the journal Alcohol. Researchers found the HAT patients had a greater reduction in alcohol consumption. Haasen, et al. Alcohol: Effects of heroin-assisted treatment on alcohol consumption : findings of the German randomized controlled trial. (2009). National Institute on Drug Abuse. "Heroin." Research Report Series (2014).